“I can’t tell if you’re serious or not,’ said the driver. These words are potent, and can help one keep life in perspective. Later in the novel the author inserts himself into the narrative directly inorder to be present for the novels climax. He tries to act like a conductor, summoning his musicians, bit is keenly away that he can setup the situations, but not change their will. While he has created his characters, they exert their own will on him. To some degree they are driven by their desires once they are created and the author cannot easily change that. This speaks to the act of creation in general. The creator has great power, but is also controlled by her creation. 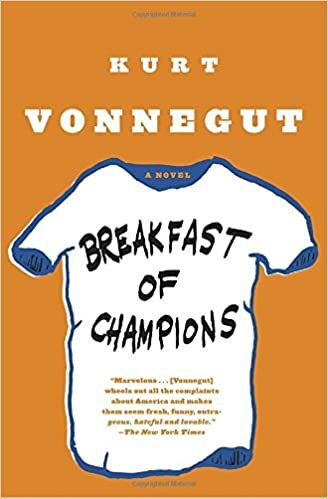 I would NOT reccomend this book as your first Kurt Vonnegut book I recommend reading one or two other Vonnegut books first such as: Cat’s Cradle, Slaughterhouse Five, Mother Night or [Welcome to the Monkey House][wttmh].